Latex rubber gloves have become increasingly common over the last 30 years. This has led to an increase in allergy to natural rubber latex (NRL) proteins in health care professionals using protective gloves and/or in those exposed to products made of NRL. This has led to a growing need to monitor the allergenicity of gloves and other latex goods to prevent sensitization and clinical allergy. There is still considerable amount of misinformation regarding latex allergy. In this article, we examine the history behind the "invention" of the surgical glove, the emergence of latex allergy and the diagnostic tests available and possible remedies. We searched PubMed and MedLine using key words such as Latex allergy, surgical gloves, rubber, immunoglobulin E proteins, radioallergosorbent test. Recent and old papers on the subject were reviewed and analyzed. Surgical gloves were a huge milestone in the field of surgery as it allowed the development in the field of asepsis. It was instrumental in reducing the rates of infection and making health care professionals think about aseptic techniques. However, the emergence of latex allergy over the last few decades has proved a challenge in the perioperative setting. Surgical gloves are important tools in performing safe surgery. However, the increasing incidence of latex allergy and its effects on theatre personnel is of great concern. Background: In medieval times, physicians concealed information about patient's health from them with the hope of giving them better care, the rationale being that the doctor knows better than the patient and should therefore direct the patient's care. This is obviously no longer acceptable in modern day practice. 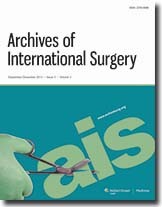 Objective: Increasing rate of litigations and the desire to provide patient with more participation in their own treatment, attain higher ethical standards and greater patient's safety have heightened the need for the surgeon to be conversant with what comprises and how to obtain informed consent. Materials and Methods: We reviewed current literature, including, original and review articles obtained through a search of PubMed database, Medline and Google scholar using the keywords: Counseling, informed, consent, surgical, practice. Results: The concept of consent is continuously evolving, whereas litigations can sanitize medical practice it must not be the driving tool, rather, practices should be evidence based. It is therefore necessary for the surgeon to be conversant with the relevance, modes, elements and application of a valid informed consent as well as methods of improving the process of obtaining informed consent. Patients should be fully involved in the management of their surgical conditions. Conclusion: A big gap exists between the theoretical/legal best practice and the daily practice of informed consent. An optimally informed patient will have more realistic expectations regarding a surgical procedure and its associated risk. Background: Blunt abdominal trauma is a common cause of morbidity and mortality in children. The objectives of the study are to evaluate the specific patterns of organ injury in pediatric patients as illustrated by ultrasonography and computed tomographic (CT) scan and assess the role of nonoperative management in such cases depending upon the severity of injury and the organ injured. 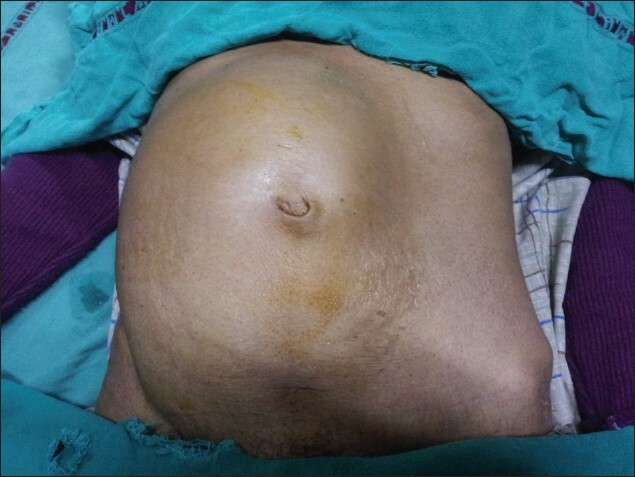 Materials and Methods: This prospective study was conducted on pediatric patients with blunt abdominal trauma that presented to the casualty of Jawaharlal Nehru Medical College over a period of 2 years. A total of 45 patients were examined. The ultrasonographic evaluation of the patients was performed and thereafter CT scan of the patients were performed within 24 h of hospital admission if on ultrasonography any evidence of intraperitoneal free fluid was detected with or without any detectable visceral organ injury. Results: Ultrasonography detected hemoperitoneum in 15 patients (51.72%) as compared to CT which detected it in 23 cases (79.31%). Spleen was the most common solid organ injured, encountered in 10 cases (34.48%) on ultrasonography and 15 cases (51.72%) on CT scan. Liver was the second most common injured organ which was demonstrated by ultrasonography in five cases (17.24%), while CT detected hepatic parenchymal injuries in nine cases (31.03%). CT was also significantly more sensitive than ultrasonography in the detection of renal injuries which were illustrated by ultrasound in only one case (3.44%), while CT showed renal injuries in three cases (10.34%). Pancreatic injuries were least common and were seen in two cases and were detected equally by ultrasound and CT scan. Conclusion: Ultrasonography is a very useful and sensitive investigation for the detection of hemoperitoneum and visceral injuries. However, CT better delineates the solid organs injuries and grades the injury as well, thus guiding the management protocol. Nonoperative management is the rule in hemodynamically stable patients in correlation with radiological and clinical scenario. Background: Endodontically treated teeth with damaged coronal tooth structure need an additional retention to provide a durable restoration. We evaluate different adhesive systems and solvent drying time on the push-out bond strength of fiber posts luted to root dentin. 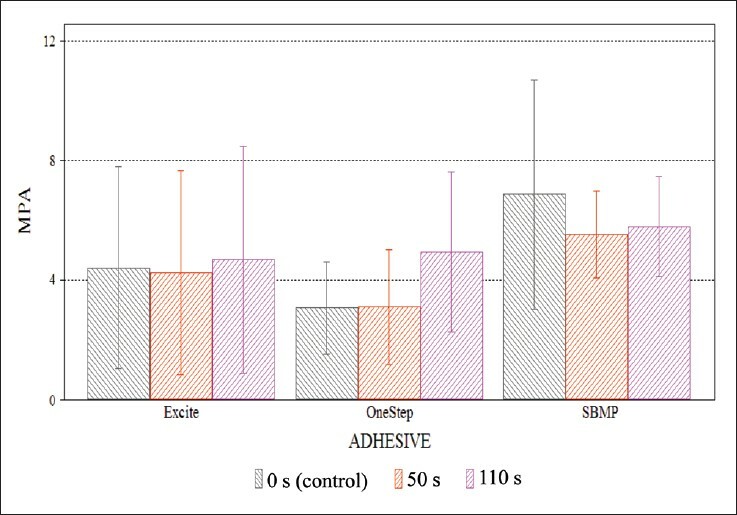 Materials and Methods: For this in vitro study, the canals of 90 bovine teeth (16 mm in length) were prepared, the roots were embedded (14 mm) in acrylic resin and allocated into nine groups (n = 10), according to the "adhesive system" (Multi-bottle etch-and-rinse self-curing adhesive system-MBSC/ Scotchbond Multi-Purpose; Simplified etch-and-rinse dual-curing adhesive-SLC/One-Step; Simplified etch-and-rinse light-curing adhesive-SDC/Excite DSC) and "solvent drying time" (control, 50 s and 110 s). The fiber posts were luted using resin cement and composite cores were made. Each set of root/post/core was submitted to mechanical cycling (10.000.000 cycles, 84 N, 4 Hz). Each root was cut into four disk-samples (1.8 mm in thickness) and submitted to push-out testing. The data (MPa) were analyzed using analysis of variance (ANOVA) (two-way) and Tukey's test (5%). Results: The factor "adhesive system" (P = 0.0081) influenced the bond strength significantly (ANOVA). The MBSC groups (6.0 ± 2.2 MPa) promoted higher bond strength than SLC groups (3.7 ± 2.1 MPa) b and was similar to SDC groups (4.4 ± 3.4 MPa) a, b (Tukey). Conclusion: The solvent drying time did not affect the bond strength of fiber postluted to root dentin, regardless the adhesive solution used. Background: Between 50% and 70% of children with exomphalos have other associated anomalies, which may involve the heart, abdominal viscera and urogenital organs resulting in high morbidity and mortality. The aim of this study is to review the management of patients with syndromic exomphalos in our center and to highlight the management challenges. Materials and Methods: We retrospectively reviewed the records of patients with pentalogy of cantrell, cloacal exstrophy and Beckwith-Wiedemann syndrome who presented to our unit between January 1997 and December 2007. Results: There were a total of 10 patients. Pentalogy of cantrell was the diagnosis in three patients while four of them had cloacal exstrophy and another three patients had Beckwith-Wiedemann syndrome. Their ages at presentation ranged between 2 h and 6 weeks, with a median of 27 h. Their birth weights ranged between 1.6 kg and 4.95 kg, median 2.45 kg. 5 patients (50%) had a low birth weight (<2.5 kg). Of the 10 patients, 4 (40%) were discharged against medical advice (1 was readmitted) and 2 (20%) were lost to follow-up. There were 5 (50%) mortalities during the course of treatment. None of them had karyotyping done. Conclusion: The management of congenital ventral body wall defects is challenging in resource poor settings like ours, due to lack of appropriate facilities and relevant manpower. Enteric duplications are rare congenital anomalies that can occur along the entire length of the gastrointestinal system. Their most common location is the small intestine, mostly the terminal ileum. Almost 70% of the cases present within 1 st year of life. The common symptoms include abdominal pain, vomiting, distension and constipation. 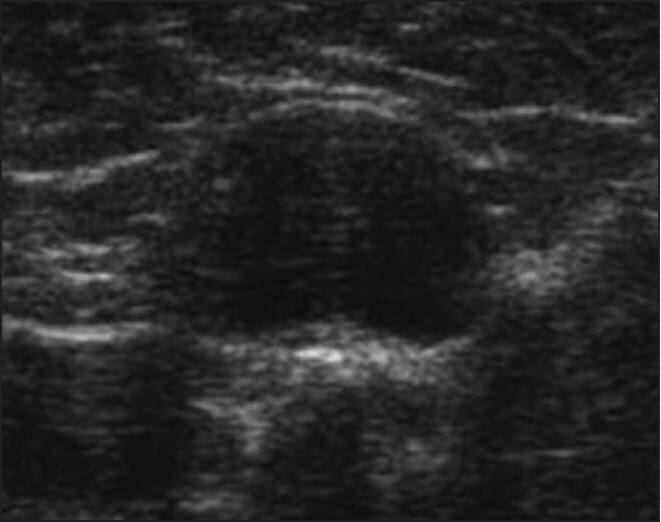 Ultrasound, computed tomography scan and magnetic resonance imaging are useful in diagnosing the lesion. Excision of the duplication cyst is the treatment of choice. This is a case report of an 8-year-old male child who presented with enteric duplication cyst, which was attached to the terminal ileum with no communication with the bowel lumen. The cyst was excised and the child made a satisfactory recovery. Thyroglossal duct cysts (TGDCs) are the most common form of congenital cysts on the neck. The incidence of papillary thyroid carcinoma in TGDC is less than 1%. In most cases, the diagnosis is made postoperatively. We present a case of 22-year-old female with papillary thyroid carcinoma arising from a TGDC, identified in pathologic study after Sistrunk operation. There was no clinical evidence of malignancy in the cyst. There was neither invasion to adjacent tissue nor lymph node involvement. The patient then underwent total thyroidectomy and bilateral neck dissection. The patient was treated with radioactive iodine and thyroid suppression therapy was given as adjuvant treatment. She has been followed-up for 2 years without any metastasis. Because of the rarity of TGDC, this diagnosis may be missed, drastically affecting the appropriateness of the treatment provided. Surgeons should be aware of TGDC in surgical planning and postoperative treatment and should include this pathology in differential diagnosis of anterior midline neck masses. Breast tuberculosis is a rare form of tuberculosis (TB). It is mainly classified as primary and secondary forms. Primary form is rare. We are reporting a case of primary TB of the breast with history of breast lump and multiple discharging sinuses. 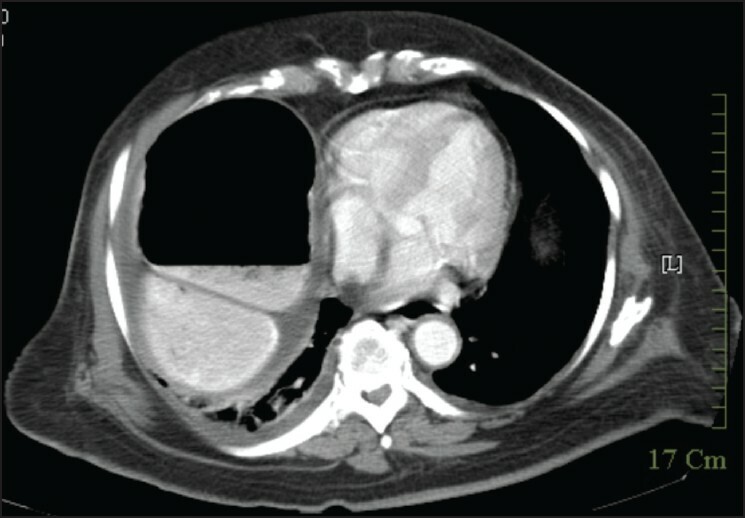 The patient, a 21-year-old unmarried female presented with lump in the breast. She had recurrent fever and multiple discharging sinuses. No positive family history of TB was reported. Primary breast tuberculosis was diagnosed on fine needle aspiration cytology (FNAC). 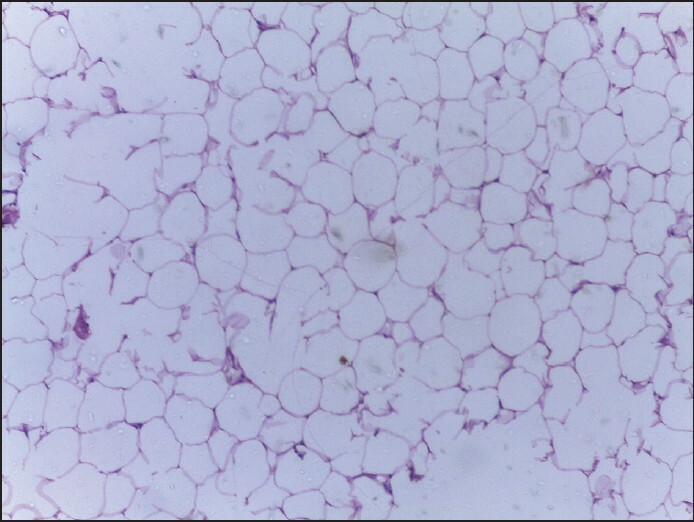 In addition, ZN stain for acid-fast bacilli was positive from the aspirate. The patient was commenced on anti-tuberculosis drugs and at 3-month follow-up the swelling had resolved and the sinuses healed. Breast tuberculosis is a rare disease with non-specific clinical and radiological findings. Misdiagnosis is common as biopsy specimens are pauci-bacillary and investigations such as microscopy and culture are frequently negative. Effort should be made to establish histological diagnosis because breast TB can be safely and completely treated with anti-TB drugs. Gall bladder perforation (GBP) is an uncommon complication of acute cholecystitis. 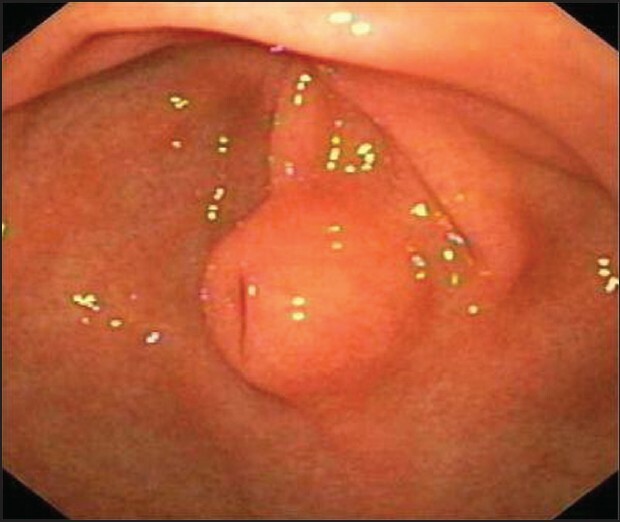 Usually patients with GBP present with localized or diffuse peritonitis defending on their ability to localise the site of perforation. We recently cared for a 65-year-old female with GBP who presented to us with a painful large anterior abdominal lump and jaundice. On investigations, a large subcapsular liver collection was identified along with a perforation at the fundus of gall bladder and a calculus at the lower end of the common bile duct (CBD). The patient underwent pigtail catheter drainage of the collection under ultrasound guidance, endoscopic retrograde cholangiopancreatography, and papillotomy for CBD stone retrieval, followed by elective laparoscopic cholecystectomy with uneventful recovery. 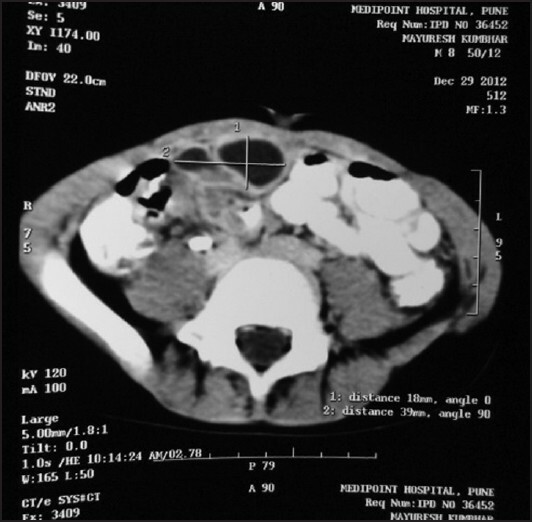 This case report highlights the fact that in a patient with gall stone disease presenting with a painful abdominal lump, the possibility of underlying GBP should be considered and the treatment should be individualised based on clinical condition of the patient. Gastrointestinal (GI) involvement in Behcet's disease (BD) is variable, with the so called "Intestinal BD" being a rare presentation of this disease. Furthermore, its association with massive lower GI bleeding is considered a rare presentation. In this case presentation, we report case of a 27-year-old male, known to have BD who presented with massive lower GI bleeding, requiring empirical subtotal colectomy. 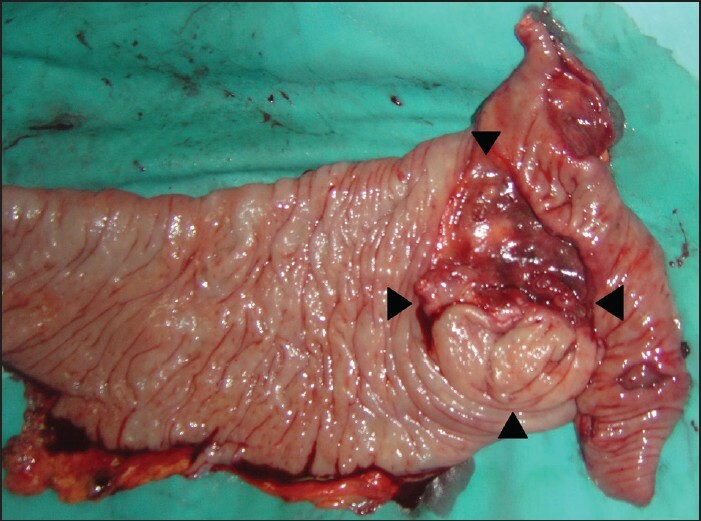 Intestinal BD has variable presentation that may require urgent surgical management. It is also important to keep it in the differential diagnosis when dealing with patients presenting with lower GI bleeding with history of BD. 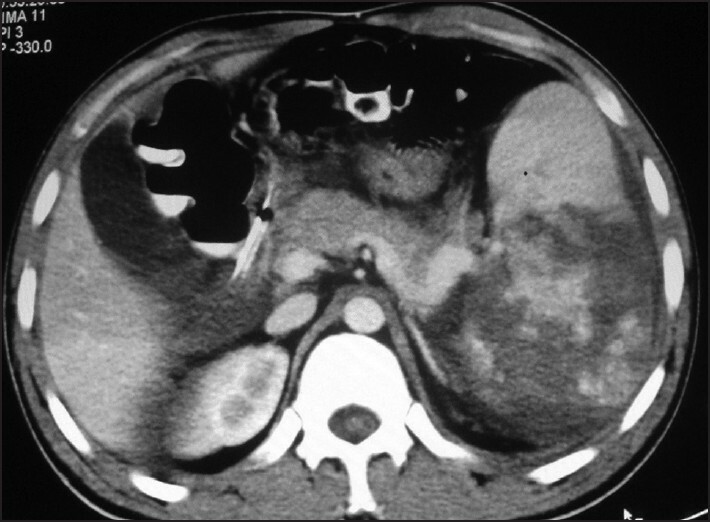 Extra adrenal pheochromocytomas (Paragangliomas) are rare neuroendocrine tumors that may arise anywhere along the sympathetic and parasympathetic chain. Although these tumors are similar in origin to adrenal pheochromocytoma, the clinical manifestation, prognosis, and management differ. 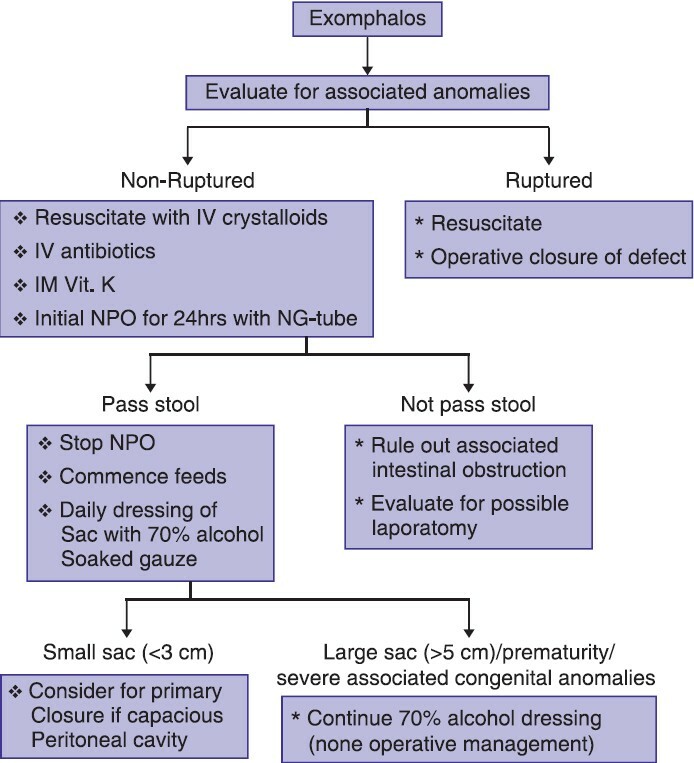 Surgical management of pheochromocytoma needs special perioperative requirements. Rarely patient may present with emergency symptoms may not allow to proceed evaluation, in these scenario clinician need to have high index of suspicion. We are presenting an atypical presentation of intra-renal location of paraganglioma which was diagnosed intraoperative period and could be managed without any complication. Lipoma conjunctivae represents a very rare but known pathological condition. Here we report a case of a 23-year-old woman presented with an insidious, painless mass of the left conjunctiva first noticed 4 years prior to presentation. There was no visual impairment. Examination revealed a circumscribed, elevated, freely mobile, non-pigmented, yellowish growth in the infero-temporal region of the bulbar conjunctiva. The mass was easily compressible and does not significantly increase in size on pressing the eyeball. Visual acuity was 6/5 bilaterally. Excisional biopsy was done and histological examination revealed conjunctival lipoma. We presented this curious tumor in a young woman for its rarity, peculiar anatomic location and its mimic of conventional lipomatous morphology. Microstomia following burns of the face remains a significant challenge. This article describes the experience in the reconstruction of post-burns microstomia with bilateral oral commissurotomy and buccal mucosa flaps. Four patients aged from 15 to 29 years had commisurotomy and buccal mucosa advancement flaps. All the patients were operated under local anesthesia with sedation. The procedure was bilateral in three patients. There were three females and one male. The most common cause of microstomia was flame burns in three patients while one patient sustained burns to the face following assault with acid. Pre-operative mean mouth opening was 20 mm and post-operative mean mouth opening was 35 mm in the four patients. Median follow-up was 57 days (range 12-472 days). Late follow-up visits revealed that the improvement in mouth opening remained satisfactory. The technique remains useful in restoration of the oral aperture. The operation is easily performed and it is recommended for immediate and delayed reconstruction of the commissure. The functional and aesthetic results are generally well-acceptable. Ectopic pancreas in the ileum is a rare entity. Herein, we present a 45-year-old male admitted with complete rectal prolapse. Clinical evaluation of the patient did not reveal any predisposing factor. During abdominal rectopexy a nodule in the ileum was found which was excised and histologically reported as an ectopic pancreas. The simultaneous occurrence of rectal prolapse and ectopic pancreas in the ileum has not been reported in the literature. We present this case for its rarity and to inform that a thorough examination of the abdomen should be done to detect such incidental pathology.